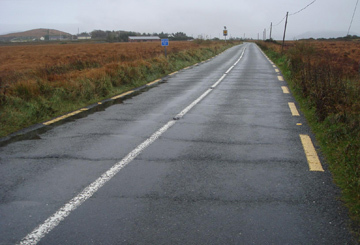 What should be the main considerations in determining a suitable rehabilitation for the road conditions shown in the following photograph? The local depth of peat has been probed at 6 metres. 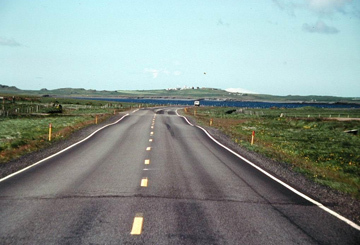 The road is in a protected environmental area and is the sole access to a rural community. 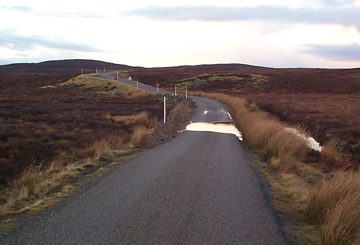 What s the most likely reason for the road conditions shown in the photograph?